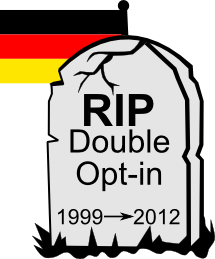 Welcome to Absurdistan: Did a higher Regional Court just kill double opt-in in Germany? “There is the catastrophe: double opt-in legally inadmissible” (Dr. Schirmbacher), “one of the most serious und fatal failures of justice in the last 5 years” (Dr. Bahr). Those are just two out of many comments. In fact, I haven’t seen any positive ones among experts until now. And I don’t think there will be any. Well, the jurisprudence in Germany is strict. 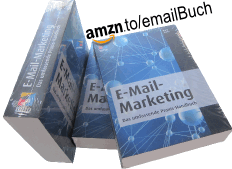 Email senders need a prior consent before they are allowed to send advertising emails. Advertising is defined very broadly as “the making of a representation in any form … in order to promote the supply of goods or services”. In addition, the demands on the consent are very (!) high. It has to be an explicitly and “freely given specific and informed indication” – see 2002/58/EC (17). The only exception is 2002/58/EC (41). Advertisers have the burden of proving the existence of a valid consent. A double opt-in confirmation is more or less the only way to do so. A single opt-in is not sufficient – anyone could have entered the address, and IP and timestamp are no proof. Luckily, many courts – including the Supreme Court – accepted DOI as a valid means to prove an opt-in. The general rule was: Don’t do any promotions in the confirmation email (like incentives in exchange for the click). Then you are fine. At least the courts did accept it – until now. The Oberlandesgericht in Munich just ruled[*]: A double opt-in checkmail can be an unsolicited commercial email, thus making it spam, if the sender cannot prove a valid prior consent to the sending of advertisements. Never mind if you can’t understand their point – I can’t either. The court said that an email does not have to include an explicit representation of a promotion to be considered as commercial. Asking for a click to confirm the wish to subscribe is enough. In some way, even this email drives the business. Thus, it’s promotional. [*] Oberlandesgericht Munich, 29.9.2012, Az. 29 U 1682/12. Full text of the decision in German: PDF. This entry was posted in english and tagged double opt-in, germany, law. Bookmark the permalink. 11 Responses to Welcome to Absurdistan: Did a higher Regional Court just kill double opt-in in Germany?